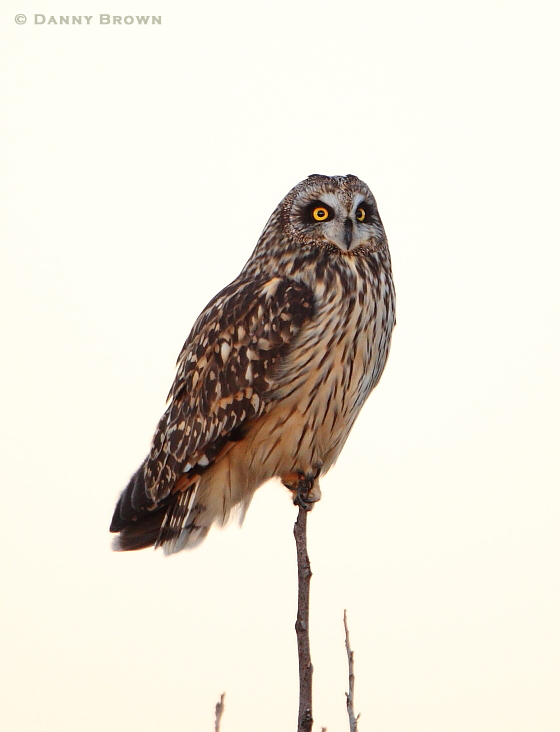 A short-eared owl sits a precarious perch this evening at B.K. Leach Memorial Conservation Area in Lincoln County. Beautiful picture. I was afraid me driving from the opposite direction would scare him off. That cutie was a first for me and my friend to have you capture it was the icing on the cake! See you on the radio. I like that program. I saw an interview about it with him on PBS but I haven’t read it. I’d love to borrow it if you don’t mind. Great pose, like this image Danny. I will tune in today.